It took just one deep pass to DeSean Jackson Sunday to know it was a new year. 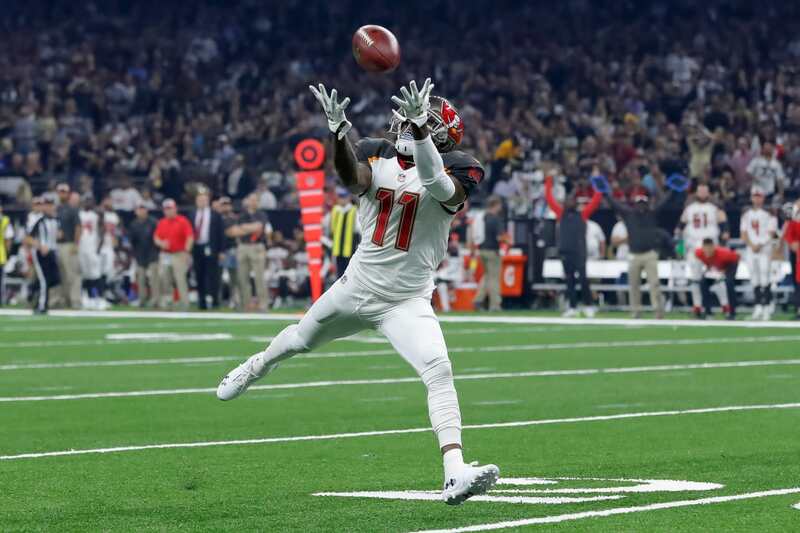 Jackson's 58-yard touchdown reception served notice that the Bucs speedy receiver was not getting off to another slow start the way he did last season. Jackson finished with five catches for 146 yards and two touchdowns, including a 36-yarder in the fourth quarter that essentially put the game out of reach in Sunday's 48-40 win over the Saints. Jackson caught another pass for 35 yards in the fourth quarter but suffered a concussion on the play. More troublesome than that may be a shoulder injury he suffered on the first touchdown. He was unavailable after the game. Not to be outdone, receiver Mike Evans led the Bucs with seven catches for 147 yards, including a 50-yard touchdown reception.